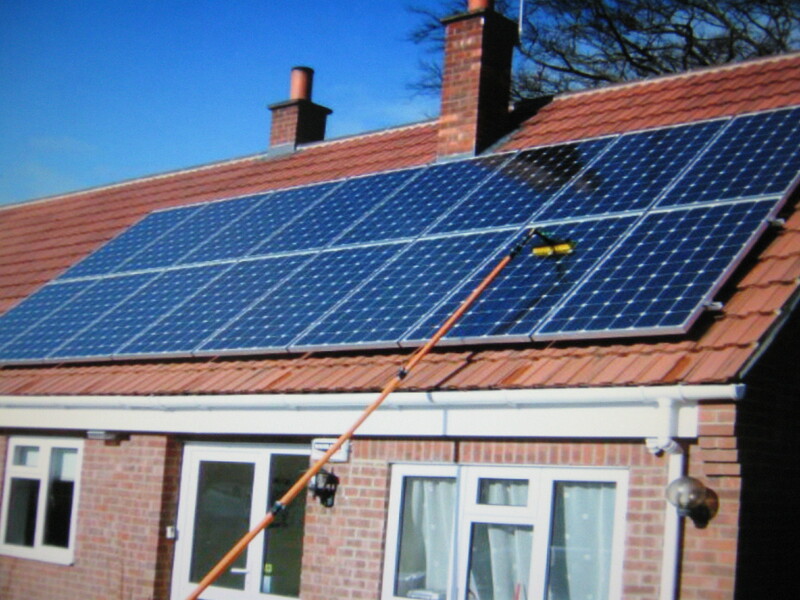 Here at CHS window cleaning, we aim to provide a number of services for our domestic and residential customers including a reliable, exceptional value for money, Solar Panel cleaning Telford service. Keeping solar panels clean, including those marketed as “self-cleaning” solar panels, is vital to maintaining peak efficiency and maximum power conversion. Clean solar panels may operate up to 50% more efficiently, and many manufacturers recommend cleaning solar panels at least every 8-10 weeks. 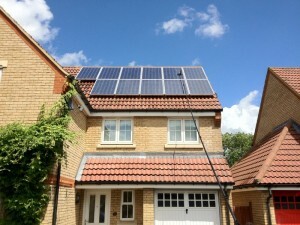 The more frequently you have your solar panels cleaned, the more energy they will provide. The more money you will save! 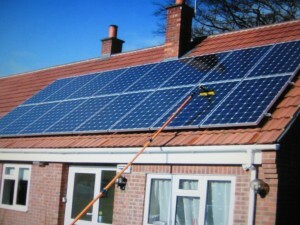 Some solar panel manufacturers are making solar panel cleaning a condition of their warranty. That being the case we will provide a receipt of regular professional solar panel cleaning in order to keep your warranty valid, and your solar panels performing at peak performance. 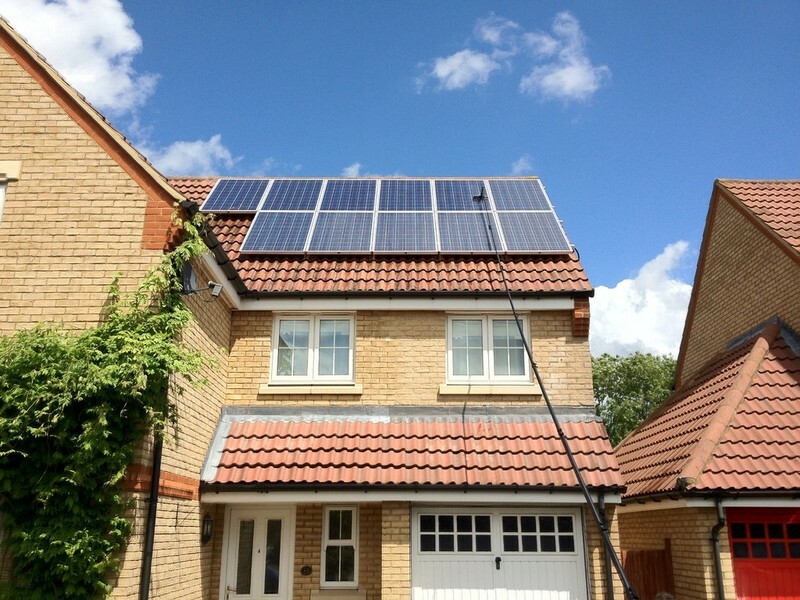 We use the latest, unique, environmentally friendly, reach-and-wash pure-water cleaning system, which ensures perfect yet gentle and safe cleaning results, for your solar panels. Our reach-and-wash poles make sure the job is performed efficiently, thoroughly and as all cleaning takes place from ground floor level, safely too. No ladders are necessary. We will transport the pure water in tanks by van to your home or business premises, which means there will be absolutely no impact on any of your utility bills. The price you pay is all it will cost for your solar panels to work at peak efficiency. We pride ourselves on offering a reasonable and reliable cleaning service. We can provide the most competitive quote, as your home or business will be cleaned whilst we are working in your area.